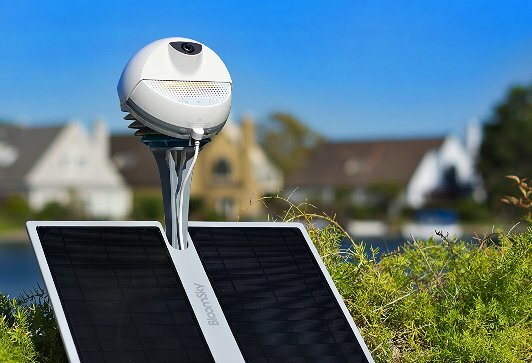 Bloomsky’s Weather camera station kit is an outdoor weather station which has been smartly designed and works by letting the user become the part of an interactive weather reporting network. It can capture the HD photos as well as stitches them into time lapse videos. Beyond the weather basics, it has also been equipped with sensors for the purpose of capturing UV sun exposure as well as even rain data. Its sophisticated sensor array has been powered by the solar panels and connects to other smart home products by using IFTTT. It has been equipped with 205 contact points that provide it with the incredible weather reporting accuracy. Each device links to a large network of globally deployed units. Its prices are starting at only 199USD as well as it seems a great value. But this system is large and conspicuous. It cannot send alerts for many of the weather events which it can sense. It officially operates across 2.4GHz Wi-Fi networks. We can say that it is very useful for the weather information due to its unique combination of sensors, HD camera as well as solar panels and IFTTT support. It can be considers as the second generation weather camera station which can measure temperature, humidity, pressure, prescription at the heart of it as well as it features an HD camera which can capture the real time images in every 5 minutes. At the end of the day, we will have a time lapse as well as a clear story of the sky.